Did you know? Semrock has expanded out of it's original building into the building next door. We thank you for your continued support as we continue to grow our business. Welcome to the second edition of Wavelengths. 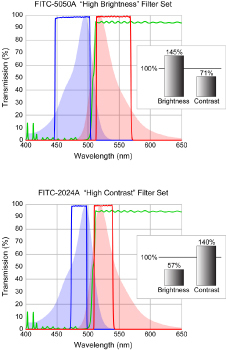 We have three articles on some very popular topics – laser-based imaging, filter design and multi-color imaging (contributed by Quorum Technologies). In addition to the articles, there are a few newsworthy items we wanted to bring to your attention. Later this fall, we will be launching a new website. It will feature online ordering, new and improved product search functionality, better general searching, improved customer service, a Red Tag sale section and new information on applications. As always, we welcome your comments and suggestions. Turan Erdogan, our CTO, will again conduct a workshop on fluorescence filters at the upcoming ASCB meeting. It was very well attended last year and we hope you will consider joining us– Tuesday, December 14 at 1:45. We would like this newsletter to be a collaborative project with the microscope community at large. We invite and encourage you to send us your ideas, tips, questions, ideas for improving the newsletter, articles and anything else you think we should know. In response to our article on how to clean filters in the last issue, many readers asked for instructions on how to properly orient filters in their cubes. Our handy online guide shows you how. 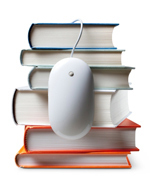 Ask Our Experts - Where do I find ASCII data for the filter I need? We provide downloadable and printable ASCII data for all of our catalog filters and sets. Navigate to your filter/set page and look at the right side of the spectra graph. In addition to turning each wavelength line on and off, you may click on "ASCII data" to see the other options. You may also zoom in on selected parts of the graph by left-clicking and dragging across the area you wish to view in detail. We've launched some interesting new products in the past few months and invite you to take a closer look at them. A list of worthwhile microscopy Fall and Winter Courses around the US, Canada and Europe. Looking for a live demo of our new tunable filters or want to speak to a representative in person? 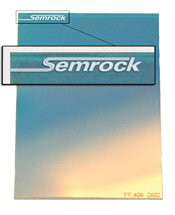 Follow the link for a complete listing of where Semrock is headed in 2010, and where some of our distributors will be showing worldwide.